Mario’s adventures in the wine world began very early. 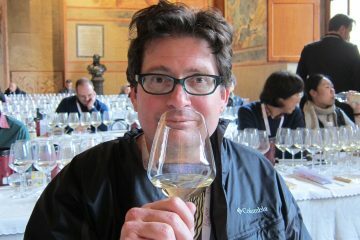 He was only a child when his father, a winemaker who worked in the Veneto, died of poisoning from chemicals used in enology at that time. Mario’s mother returned to live near her parents in Trentino, and it was there that Mario began to work in wineries during his school holidays. He became a true “cellar rat” at the age of 12, cleaning tanks and helping out in the winery, which he found he really enjoyed. At that point he decided he would become a winemaker, like his father—although his mother and grandmother would have preferred him to be a surveyor. 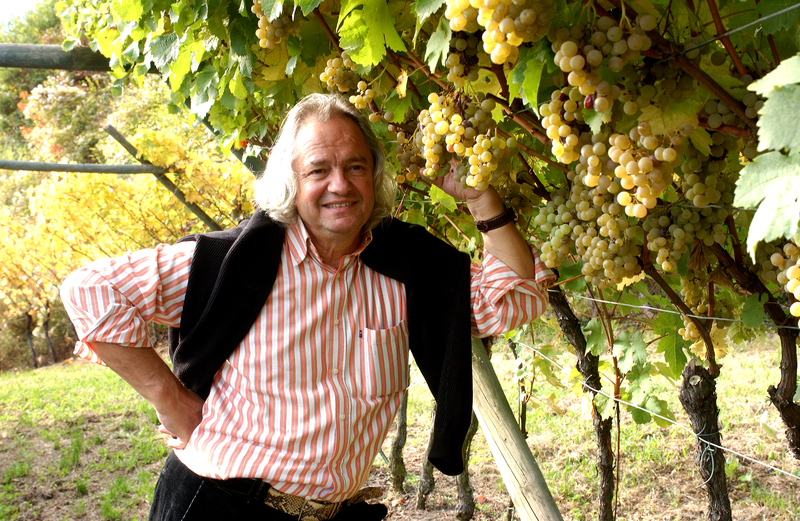 During his studies at Istituto San Michele all’Adige, one of Italy’s top enological schools, Mario met Fiorentino Sandri, whose father had a small farm and a few acres of vineyard. 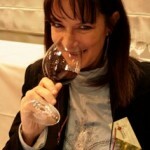 The two became great friends, and together decided to found a new winery, the Pojer & Sandri Winery. Their first vintage was in 1975. From the beginning Mario and Fiorentino were not content to make just good wines: they wanted to make the best wines they were capable of producing. Mario’s challenge was to figure out how to wash the grapes, and with what. He realized he could not use just any common detergent. After years of testing, trials, and failures, Mario finally found the best cleansing agent for his grapes: citric acid, a completely natural substance. To use it on the grapes, he invented a special machine, a kind of washing machine, a “Jacuzzi bath tub for grapes”, as he calls it, which he also patented. How does it work? The hand-harvested grapes are placed in baskets, then are put into this “pool”, where a liquid solution made from water and citric acid bubbles, just as in a whirlpool. The bubbles massage the grapes and allow them to slough off both chemicals used in the vineyard, and all pollutants from the atmosphere—but leaving the natural yeasts on the grapes. The next step is similar to, well, a carwash! The grapes are transported by conveyor, for an additional washing and further elimination of chemicals, again with a solution of water and citric acid. They then pass beneath the jets of water which remove of the citric acid solution. The journey continues on vibrating belts that dry the grapes with warm air. The grapes are now ready to be made into wine. 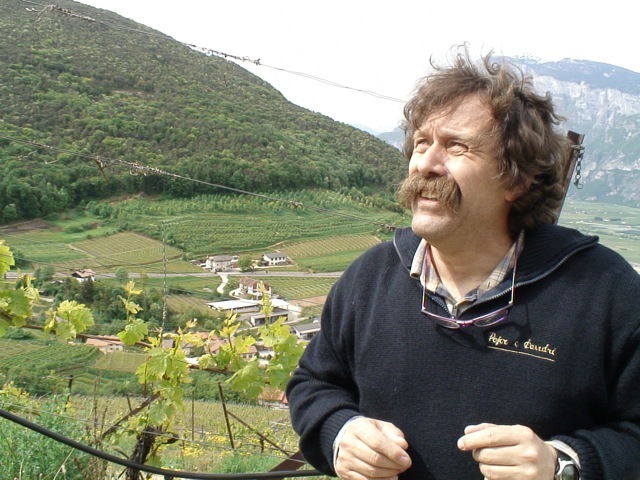 Time has proved Mario Pojer right: today the wines from Pojer & Sandri Winery are awarded medals in many significant wine competitions, and are appreciated throughout the world. Is it enough to continue to work quietly and enjoy the success? No! Mario is an energetic character. After his “machine for washing the grapes,” he created several more inventions, for solving other problems in the winemaking and vinifaction processes. The professional adventures of Mario Pojer and Fiorentino Sandri do not end with wine; they also produce spirits and vinegar. So there are many additonal areas of research I would like to talk with them about, in the future. For instance, their work on interspecific grapes or crosses resistant to downy and powdery mildew…but that’s another story! This is an extraordinary white wine from Riesling and its offspring (“filii”, in Latin): Müller Thurgau, Kerner, and Incrocio Manzoni. The alcohol is very low—only 9.5%—the color is pale yellow, and the flavors fruity, lush, and tropical. In the mounth it is fresh, fruity again (peach), with a finish that is long and very pleasant. From a blend of Pinot Noir, Zweigelt, Franconia, Negrara Trentina, Groppello Val di Non, a red wine with a ruby red color and purple nuances. The nose is quite spicy and peppery, but also fruity, with berry notes: raspberry, blackberry, blueberry. The taste is fresh, flavorful, round and soft, like a good Pinot Noir or a great Syrah. What is it about the citric acid wash that retains only the yeasts on skins? Citric acid washes are common in beer brewing for yeast recovery after fermentation. The low pH kills things like bacteria and weaker yeasts, but leaves healthy yeasts intact. My guess is that many of them come off in the washing process, but the ones that are left are probably vigorous. I would like to point out, though, that while citric acid is a naturally-occuring product, the majority of available citric acid is produced industrially by fermentation with the fungus Aspergillus niger, which makes it about as natural as, well, natural wine. @Thomas, thank you for your comment. @ Tom, thank you for your help! 😉 I did not ask to Mario Pojer which citric acid he uses for washing his grapes, but I can do it, and I’ll write it here. Hi, if you are interested to read some more data about this new technique, here is where they are available. Cavazza A., Franciosi E., Pojer M., Mattivi F. (2007) Washing the grapes before crushing: effects on contaminants and fermentation. Bull. OIV, 80, 917-918-919, 483-496. 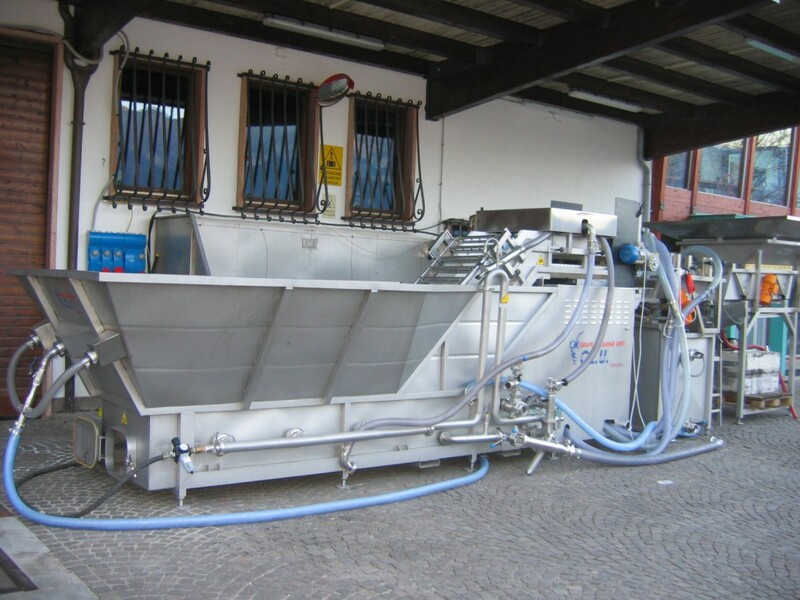 Cavazza A., Franciosi E., Pojer M., Mattivi F. (2009) Washing grapes before crushing: effects on contaminants and fermentation. Proc. 5th Int. 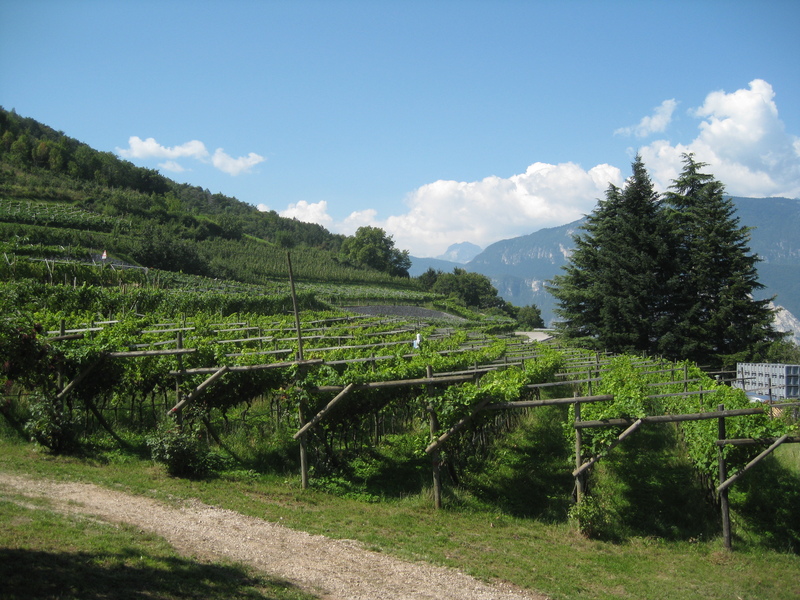 Specialized Conference on sustainable viticulture: winery waste and ecologic impacts management, Franco Checchi et al eds, Trento and Verona. 167-175. If you are interested but cannot access the source, please contact directly the authors at the Fondazione Edmund Mach, Italy. Hope it can help! @Thomas, et voilà! I hope this help you. @Fulvio, thank you very much for your important contribution. Interesting and probably the way to go under the circumstances. Some would probably say they start in the wrong end as the pesticides could be avoided by biodynamic or biologic viticulture, but whatabout the air?